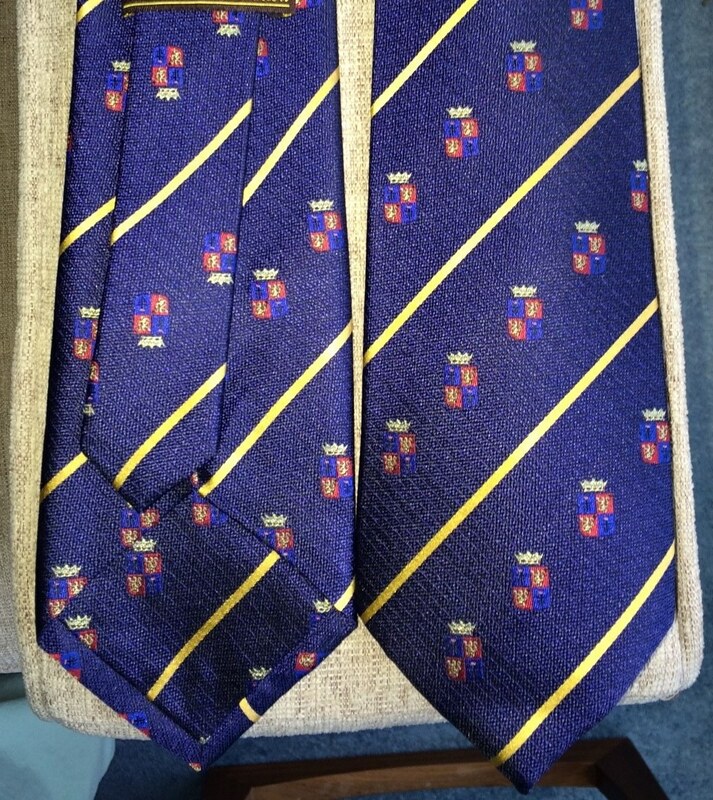 The Abbey-Principality has commissioned neckties bearing the San Luigi arms. The ties are in a heavyweight non-crease pure silk, hand-made and self-tipped, with a self-keeper. They are available to purchase by members of the San Luigi Orders and the Institute of Arts and Letters, London, only, priced at UK£20 each, plus postage dependent on location.